Welcome! This will be a briefer Newsletter than usual, in part because I am experimenting with writing to you a little more often with less information. I hope this works for you. Several invitations follow. And a short inspirational extract from Seeking the Sacred, focused on the powerful opportunities of this time. The first invitation is, I hope, a creative response to the chilly winter of discontent in bookselling. With frostbite threatening, this is an offer to purchase the new audio version (10 CDs) PLUS the large, handsome printed version of Seeking the Sacred for only A$60. The non-discounted price for the book is $32.99 and for the audio it’s $39.95 – so it’s a real saving. You won’t be surprised to hear that recording the audio version was dramatic and intense. Every word must sound virtually perfect – no hesitations, no stumbles. I spent a long week in a tiny booth in a recording studio in Melbourne, but left happy with the results. Those of you in North America or Europe of course have the gorgeous new hardcover edition from Tarcher/Penguin. By the way, this is the first time that I’ve tried a special offer via Seekmedia, the company “behind” my bookshop that can supply virtually any book. Check out the recommended titles on my book shop site, or any book you are keen to read. $6.95 postage, however many books/audio you order. And don’t hesitate to give helpful feedback. A special invitation too to the following events. As always, if you are able to be there, please take a moment to say hello and let me know you are a member of this cherished Network. The events include a rare talk on Rainer Maria Rilke (subject of my book, In the Company of Rilke). I am giving this under the auspices of the Soiree Litteraire. It’s a dinner first and then my talk. There are also details of two events in September in South Australia – including a Multifaith event on peace, marking the 10th anniversary of 9/11. A timely prompt, too, if you want to join the Spring retreat at Mana Retreat Centre, Coromandel, New Zealand. Please enquire and book as soon as possible. The emphasis is on inner replenishment in beautiful surroundings. There are also details of next Sunday’s interfaith service in Sydney, 21 August, 3pm. All welcome. If any of these events inspire you, please take a moment to send details to others in your own networks. Few of the groups I work with can afford professional promotion, yet all add much of value to our common well being. Booking/registration details follow, then a short extract from Seeking the Sacred that seems particularly timely for this moment. 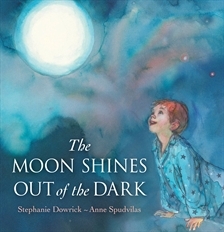 You can also visit Stephanie and hear from her on “Official Stephanie Dowrick” FB page. 3pm Monthly interfaith, spiritually inclusive services led by Dr Stephanie Dowrick at Pitt Street (264) Uniting Church, Sydney. (Cross street is Park. One block from Town Hall.) No charge. All welcome at this oasis of peace and spiritual refreshment. Exquisite music, inclusive prayers and teachings. 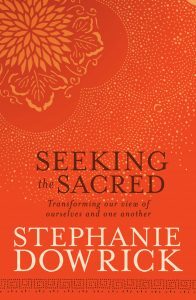 http://www.stephaniedowrick.com/featured/interfaith-services/ August theme is “Reflection and action”. It’s with great pleasure that Dr Stephanie Dowrick will give “The Roffey Reflection”, speaking on the challenges, inspiration and unique opportunities of a contemporary seeking life. Hahndorf Old Mill, Main Street, Hahndorf. 7pm. Presented by “Pub Spirit”. Buffet dinner available earlier (optional). Bookings for dinner necessary: 8388 7888. Cost (without dinner): $15/Concession $8. 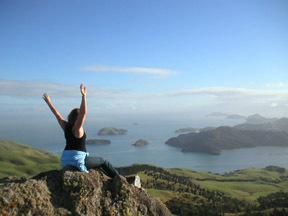 Coromandel, NZ, 29 Sept – 2 October 2011 Springtime “Peace of Mind” Retreat. Whatever else the sacred is, it points to this: we are members of a single human family, marvelous and terrifying in its diversity. If we want to blink a couple of times and take this even half seriously, we have to dig deep. It must be respect for all of life. Understanding this, I must regard your gift of life as precious whether or not I believe you “deserve” this. I must do you no harm and, moreover, I must wish you well whether or not I believe you “deserve” it. Like it or not, I see that our fates are linked. This is the timeless ethical teaching at the heart of all the religions. It’s what makes sense of the Golden Rule (“Do unto others as you would have them do to you.” “See your Self in others and others in your Self.”). To a great extent, everything else is embroidery. And yet, just like you, I live in what we pessimistically call “the real world”. I know that as long as we are effectively conditioned into the kinds of divisive, defensive and aggressive thinking that the majority of the world’s people regard as normal, this shift in perception may seem delusional. After all, the mighty institutions of religion themselves offer profound, unequivocal teachings about interdependence, loving-kindness, forgiveness, unity and compassion, yet all have a tragic history (in unequal amounts) of seeking power rather than transformation and conformity rather than compassion. We don’t need to go further than the nightly news to see that far too often religions are cradles of violence rather than love. But what is just as true is that those same complex human institutions have also been the faithful preservers of the world’s most magnificent (and undiluted) teachings on love. More wonderfully, there have also always been brave men and women from all the religions who have determinedly lived life as sacred, sometimes under the most discouraging or dangerous circumstances. …To tend to what is alive, healing, tender and precious in this familiar material world, we must discover and rediscover the source and vitality of our own spirituality. And we must act on what we find… Acting on our highest ideals, we embody them and give them life. They also give us life and, dare I say it, they give us a life truly worth living. Each time I choose the more loving direction, the kinder impulse, the most encouraging word; each time I choose to silence my complaint, my criticism or to deal with conflict non-violently; each time I open more wholeheartedly to appreciate or express gratitude for what is around me; each time I offer help or comfort selflessly, or pause to reflect, give inner thanks or praise, or to align myself freshly with my finest impulses and self, I rediscover the source of my spiritual life – and I live it. Religious, philosophical, psychological and spiritual writings offer countless theories about the sacred. But theories are rarely transformative. We need to sense as well as think our way forward. Our instincts and imagination must be engaged as well as intellect and heart. We must value and learn from our own experiences. We need to surrender willingly and often to what is quiet within us. We must know the source of our own spiritual life, however diversely we name it. We must accept the resources and strengths it offers. We must see holiness within it – and within ourselves. This beautiful view is from the hills where Mana Retreat Centre is located, outside Coromandel, NZ, easily reached by shuttle bus from Auckland airport. Previous Previous post: Saving peace of mind?